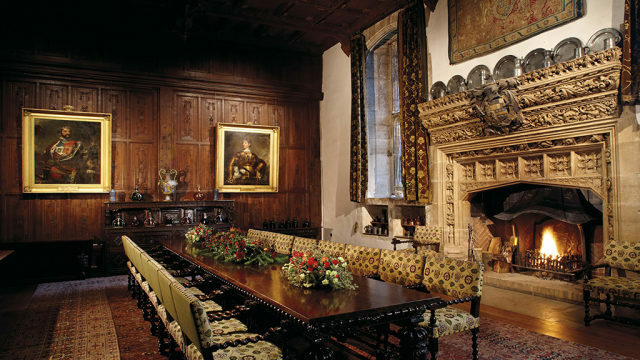 Hever Castle, the childhood home of Anne Boleyn, offers two unique venues for corporate hospitality, the Astor Wing and the Guthrie Pavilion. 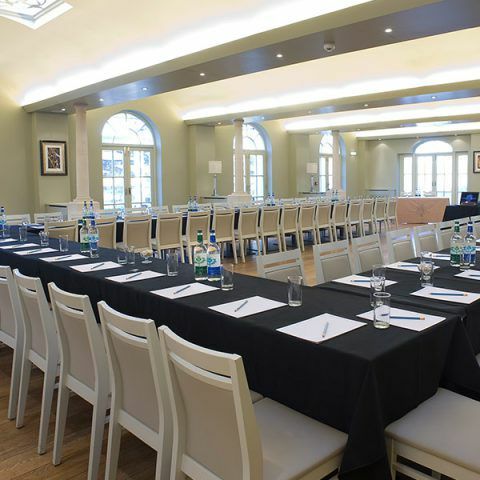 The Astor Wing, sympathetically built onto the castle by William Waldorf Astor in 1904, the Astor Wing boasts an impressive Tudor style meeting space, newly refurbished with state of the art audio visual facilities, suitable for up to 60 delegates. 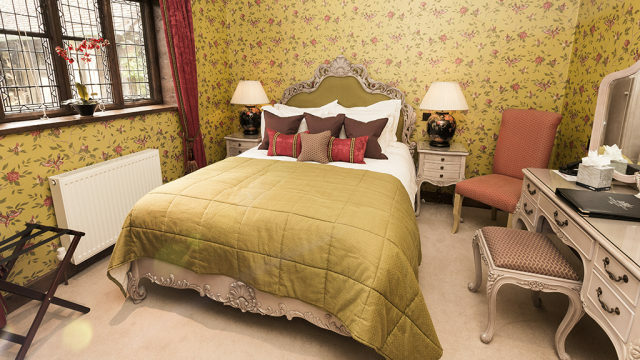 Dine in the castle in the evening and stay overnight in one of the 28 luxury, 5 star bedrooms. The Guthrie Pavilion, located in the award-winning Italian Garden, this versatile, contemporary space accommodates up to 200 delegates. Offering the flexibility of being used for either a conference or a dinner, the Guthrie Pavilion is popular with clients requiring somewhere to meet in a peaceful location with space to spread out and brainstorm. 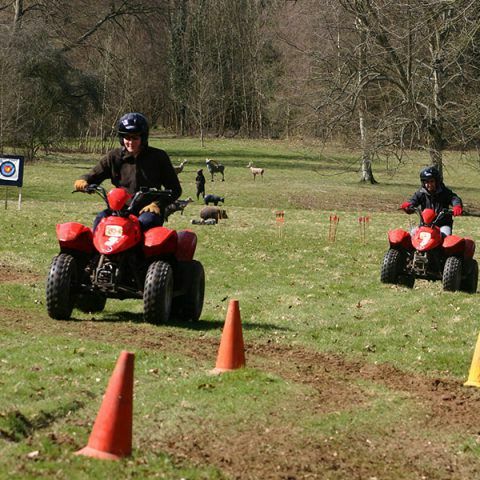 Combine either venue with team building activities in the grounds. 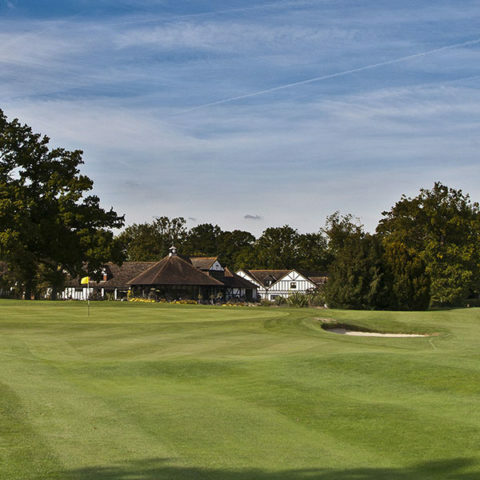 Hever Castle also offers a championship golf course, an activities field for outdoor pursuits, an outdoor heated swimming pool and a tennis court. Whether it’s an off-site meeting you are organising, a team building activity day, perhaps a company celebration, a summer party or Christmas party, or quite simply an opportunity to get away from the office, Hever Castle opens its doors to you and offers its beautiful facilities as a first-class venue. We offer a number of different packages and a bespoke pricing structure dependent on your requirements. Can you please pass on our thanks to your whole team for looking after us all during our stay at Hever. Every single member of staff I met was fantastic and more than willing to help. The rooms were beautiful, the food was AMAZING and I cannot thank you all enough. 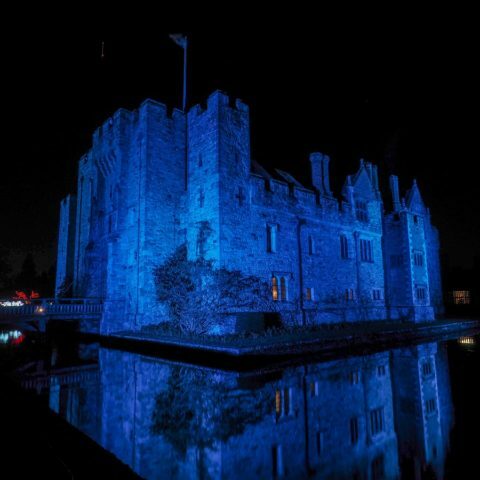 On behalf of Charles Derby, I would like to express my extreme gratitude for the most beautiful event both throughout the day and evening at Hever Castle on 21st December. Your venue and staff are top class. The day had a luxurious but relaxed atmosphere about it, allowing the directors to get on with their meeting whilst the spouses had fun around the gardens with the wonderful head gardener Neil. Nicola and Chris were fantastic, where nothing was too much trouble including an impromptu visit around the Castle before dinner. Having the Astor Wing completely to ourselves put a completely different emphasis on our day, ensuring that the partners felt welcome and free to move around including staying in the individual and opulent rooms. Ria and her team provided superb food within the historical rooms, a true feat in itself. The late bar was also a hit! It was indeed an event that we will always remember and we look forward to seeing you again soon. Dear Stephanie, just a quick note to say, thank you so much for everything you did last Thursday, you were fantastic with all your help and support in making the Charity Ball a success. Please can you pass on my thanks to Ria and her team, including Les the feedback on the food and catering was excellent.Please pass my thanks to Paul as well, on the night he was excellent as were the whole team. I hope in time we will get to work again and hold another amazing event at Hever, I think the venue really sold it for us and made it a truly fantastic evening. First of all I would like to say a massive thank you on behalf of all Brigade staff and their families for a lovely day last Saturday. Even though we were unfortunate with the weather and had a deluge of rain about 3pm it didn’t dampen people’s spirits!! The Hever staff were extremely friendly, helpful and made every effort to make our day go smoothly. Please pass on our sincere thanks to all of them. We have also had many favourable comments about the food and how good it was – again can you pass on this feedback to the kitchen staff and thank them for the delicious food! I wanted to say a massive thank you to you both and to your teams for looking after us so well – we had an amazing time with you and the whole process from start to finish was seamless. Quite a few of the team have already said will be looking to book weekend trips with their families. Just a brief and inadequate note to say “thank you” to you and the whole team at Hever Castle for a simply wonderful stay. The conference was a great success and though the sessions themselves were pretty intense and challenging, the surroundings and the excellent quality of the food, service and environment made it a superb event. Nothing was ever too much trouble and even last minute changes and requirements were met faultlessly and with great care and attention. Everyone had a wonderful time and was full of praise for the entire team at Hever. Do please say thank you to all those who looked after us and I do hope we weren’t too much trouble! Please thank your team for an excellent offsite. The accommodation, food and service was all outstanding as well as being a privilege to stay in the Castle and have the private tour and the opening up of the maze. It will be 24 hours we won't forget! 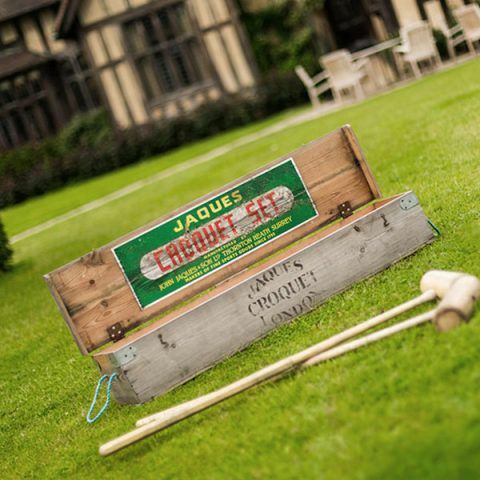 I have returned to New York and am still dreaming out our fantastic offsite at Hever Castle last week. The Offsite was a roaring success and the team returned with a spring in their step. Thank you for making our event so seamless and for all of your help before and during our stay. Harriet – thank you for helping plan the awesome offsite! For putting up with all my special requests and responding to the last minute changes. Ria – the food was absolutely phenomenal. Everyone was raving about how declivous their meal were. Thank you! Nikki and Chris – thank you for all your help during the event. You were so attentive and every time I needed anything you appeared! I just wanted to drop you both a personal note to thank you and your respective teams for helping us to deliver an excellent event last Thursday. The whole thing went without a hitch and was a great success. I would have no hesitation in using Hever as a venue or Firebird to support again. The 28 bedrooms at Hever Castle, recently refurbished and fit for a king, have been graded five stars by Quality in Tourism. Expect period colours, panelled walls, vaulted ceilings. Several rooms boast four posted beds and roll top baths. All offer luxury, antique furnishings and rich fabrics. Some rooms have stunning views across the formal lawns of The Astor Wing, others across the apple orchard to the castle. All are en suite with period features subtlety combined with modern day luxury. We request that a minimum of ten bedrooms are booked if you are requiring bedrooms as part of your event. Our stunning location in the heart of the Garden of England is complemented by a varied menu which offers a choice of seasonal dishes, produced by our own highly acclaimed and talented team of chefs. Using only fresh, and when possible, local produce, our menu’s offer an eclectic array of dishes complementing most tastes. We believe that your guests’ enjoyment of our food is fundamental to the success of your event and should you have any specific requirements, our Chef would be happy to discuss them with you and create your perfect menu.